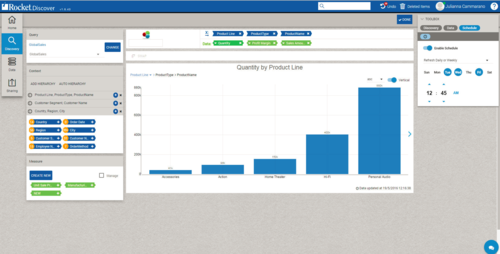 Rocket Software Increases the value of MultiValue-Based Applications with New Business Intelligence Tools ! On November 2, 2016—Rocket Software will announce the general availability of Rocket® Discover 1.6, a self-service Business Intelligence (BI) solution. MultiValue (MV) customers now have a self-service Business Intelligence (BI) solution which has been custom-built especially for them to provide deep insights without the need of having to rewrite applications. 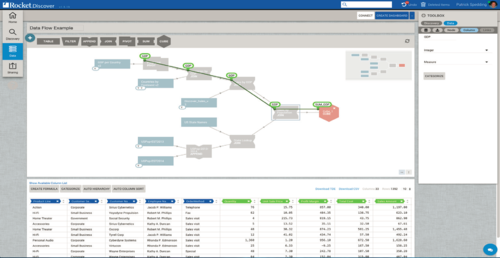 With Rocket® Discover 1.6's native interface to Rocket D3, UniVerse and UniData databases, business users can easily connect to MV data sources through secure Web services, and use Discover’s intuitive interface for data visualization and discovery, and collaboratively share dashboards. For the first time, MV users can easily create the dashboards and visualizations to help drive their business forward without having to take data out of MV and spend hours massaging it to get key insights. The addition of new BI capabilities reinforces Rocket’s commitment to its customers to maximize investment in the MV platform. For more information contact Rocket direct or your MultiValue VAR.